Popping on your headphones and kicking back with some music, podcasts or audio books is a great way to unwind and escape. But... damn that background noise, the sort that somehow always manages to seep in between the highs of your beat or the words of the speaker. What you need is a decent pair of noise-cancelling cans, and we think we've found them in the Lindy Cromo NCX-100 Headphones. The only other pair of noise-cancelling headphones that we have ever reviewed were the Velodyne vQuiet two years ago. Trouble is, they were expensive and very chunky – not ideal for day-to-day commuting when you might want a bit of quiet time. Thankfully the Lindy Cromo NCX-100 are smaller and lighter, and drop in at less than half the price. 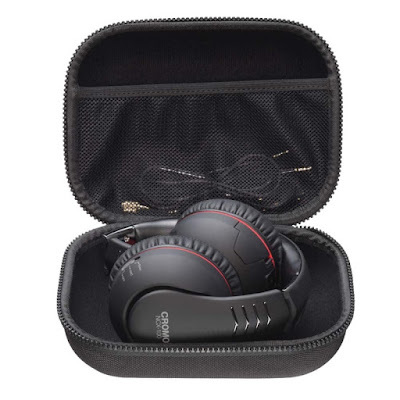 These are sub-£100 active noise-cancelling headphones that also include a... wait for it... hard carry case! Yay! The Lindy Cromo NCX-100 Noise-cancelling Headphones are on-ear cans which feature 40mm high output drivers with neodymium magnets. Even without mentioning the noise-cancelling capabilities, these are exceptional headphones that deliver bass as if you had your head within a huge speaker. 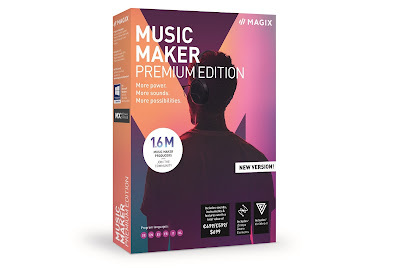 Musical reproduction is great, with a high level of clarity for both sounds and vocals. They feature an integrated amplifier and bass boost, meaning that they can certainly pack a punch while keeping control, even a high volumes. But obviously the main selling point of the Lindy Cromo NCX-100s is their noise-cancelling powers. Uniquely they run off two AAA batteries (not included) instead of the more conventional Micro USB charging port. The batteries aren't needed to use the headphones in normal passive mode, but to kick in the cancelling feature you'll need some juice. Switch it on using the button on the right can and your brain will seem to quickly sink underwater. Like others we've played with before, the Lindy Cromo NCX-100's noise-cancelling feature presents your ears with a deadening sound; like hearing something while hearing nothing at all. The whole world around you seems to have the volume turned down, allowing you to focus more on your music or spoken word track. 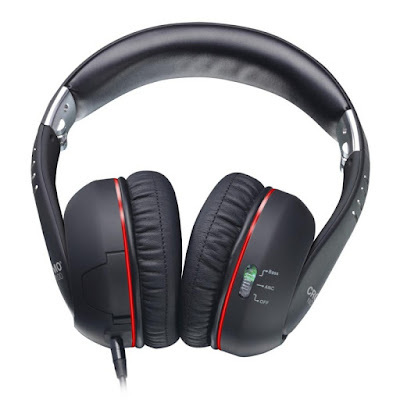 The headphones are capable of removing up to 95% of background ambient noise of sounds up to 15dB. This makes them perfect for removing that background roar of plane engines, and the constant hiss of a train. And they're comfortable, truly they are. 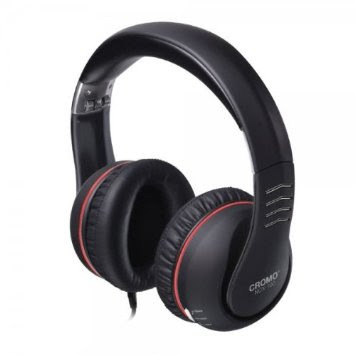 We've got big bugbears with heavy headphones that squeeze your head for dear life to stay on top, but the Lindy Cromo NCX-100 are refreshingly light despite their capabilities. Oh, and they come with their own hard carry case. Did we mention that?